The wildfires that burned throughout the West in the past months wreaked havoc on many communities, including north central Washington. 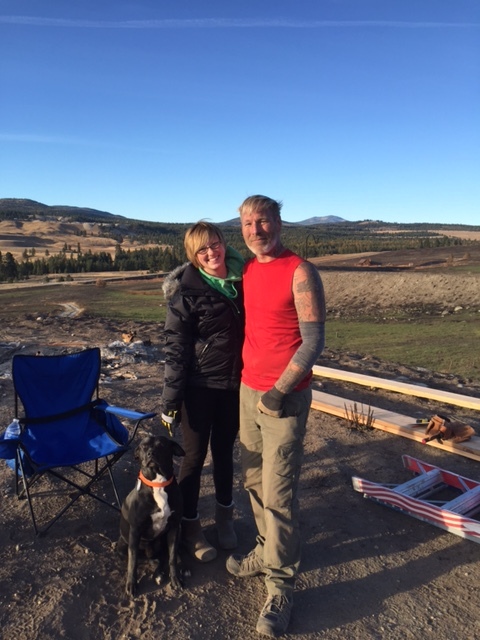 Brent and Ashley saw a mushroom cloud of black smoke rising up from the other side of the mountain where they live. The air was thick with smoke and it was hard to see what was going on. They didn’t even see visible flames until they were practically on top of them and then they had to flee their home. 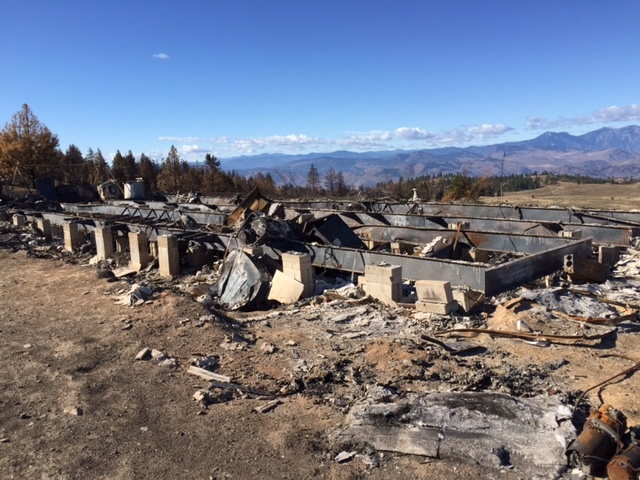 Brent and Ashley, like 170 other families, lost their home to the Okanagan Complex fire – the largest wildfire in Washington State history. Overall 8.8 million acres burned in Washington State this year – three times as many as in California, which also saw a record wildfire season. When the media coverage is at its height it seems that everyone is sympathetic and wants to help those who have lost their homes. But when the ash settles, most are left to work through a long recovery alone. Even when insurance is eventually going to help with replacement, it is a long time before life resembles anything normal. The families who were hardest hit are not able to deal with the loss. Many are living on the land and do not have clean sources of water. They might have limited sanitation and no electricity. And they are remote — very hard to get to. Brent and Ashley had a very nice home with electricity and all of the modern conveniences, but getting it rebuilt before winter is impossible. Temporary shelter comes to an end. Winter sets in. Emergency funds run out. Hope fades. Resources simply are not there. Brent said they felt forgotten. Who cares about a couple of folks living in the remote wilderness when the fires are long gone and the media left town? 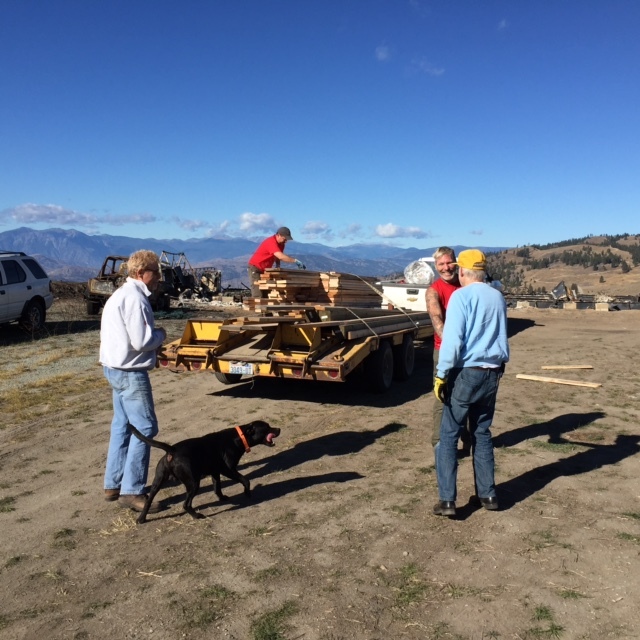 But a pastor from a church in the area got a hold of him to tell him that a few folks from Oregon were coming up to help him build a shelter for the winter. He was overwhelmed. Prayers were answered. God had not forgotten him. A miracle was taking place. People he had never met were coming from far away to help him. Sometimes prayers are answered in overalls and hard work.